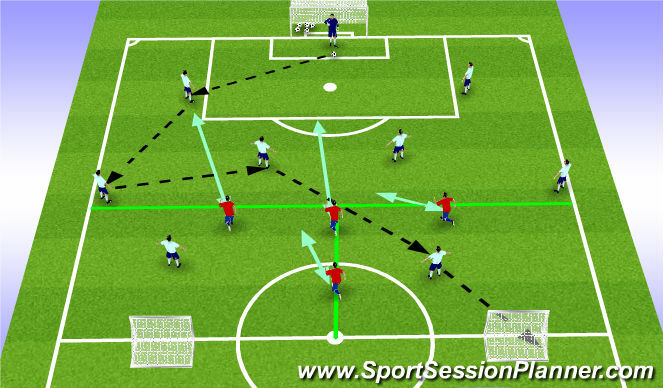 3 touch minimum First Touch for outside players into the area play pass on third touch. 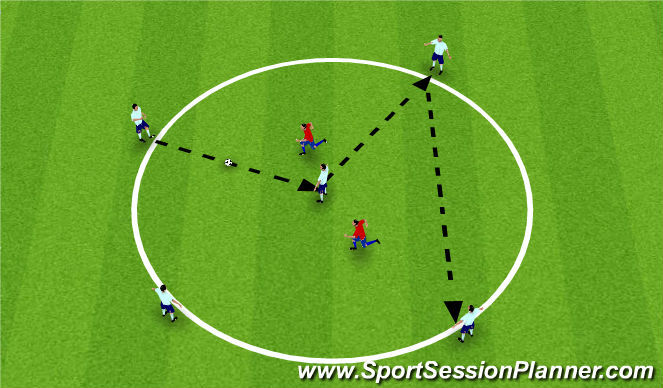 Players on outside can move along the circle to support player on the ball. CP&apos;s Quality of passes, Pace of passes. Always on toes, support player on ball. Each group lines up on the edge of the penalty area on the goal line. 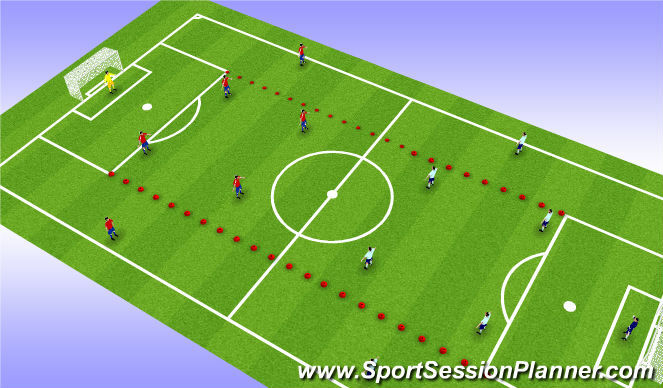 On coaches signal first pair weave in and out of red cones, sprint around the yellow cones then to the ball. 1v1. First to ball on offense. Setup on half a pitch or stretch the 8v8 pitch. 2 center backs, Wing Backs(Fullbacks) 2 holding mids(DM&apos;s) and Wingers. 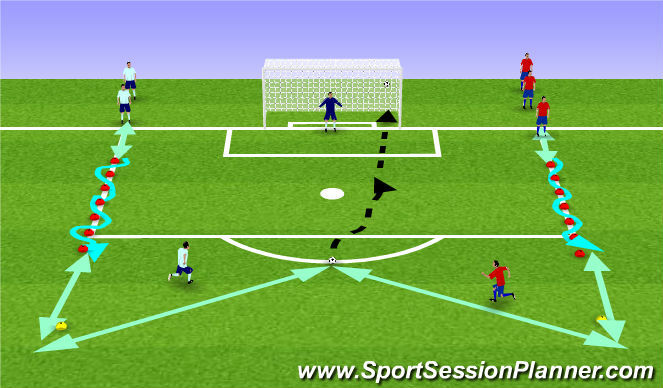 Ball starts with GK either from Hands/Feet or as a goal kick. Defenders behind the retreat Line. Goal for possession side to build up from the back and score into a PUG net. First ball out to be on the ground. If the defending team wins possession, they can go at the large goal. Possession team win the ball back and go to PUGs. ALL restarts from GK. if too easy, add a defender. Progression: Add the requirement to switch play before scoring. Before a team can go to goal they must play in to each of the wide channels. No other constraints.